It's that time of year! School has begun and fall is the season of field trips and festivals, often starting with a trip to the apple orchard. "Apples" are a traditional theme for the preschool and kindergarten set around here, so I decided to follow tradition again this year with the Storytime-To-Go program. I began each session with an introduction which included discussing the different kinds and colors of apples, things we liked to eat/drink that were make with apples, and showing them the star inside; followed by our letter-of-the-day ("Aa") and our story song. I used most of the same books as I did before, with the addition of a couple and the elimination of a few that I just didn't think worked that well before. I would really like to find at least a couple more fun stories with apples. 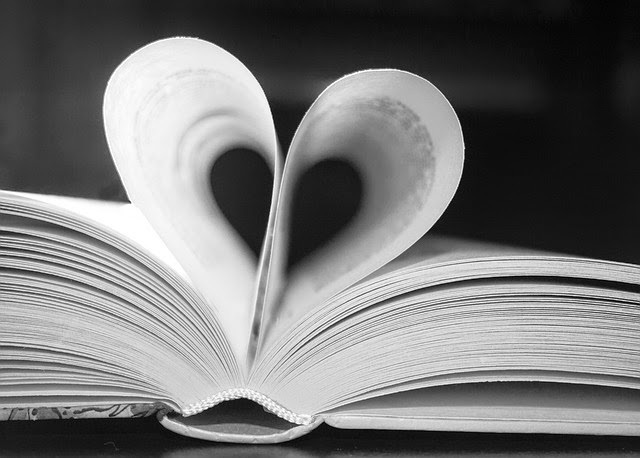 See my blog post from last year for a more complete description of each book. Ten Red Apples by Pat Hutchins; counting, animals, interactive. 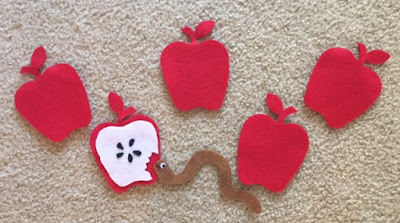 I used some of the same activities from last year ("Five Little Apples Hanging In A Tree,"
This set contains 27 apples in 3 different colors and 3 different sizes (the smallest is slightly larger than a cherry to give you a sense of scale). Some of them have leaves, some don't; some of them have worms, and some don't. These can be used in a variety of ways, and come with some suggested activities. I would hand one or two to each child, and then ask them to make observations and comparisons between their two apples. Next, I would sort the remaining apples into groups based on either size or color, and then each child would bring their apples up and put them where they thought they belonged. I would encourage them to explain their choice, but some were too shy so I didn't push them. Another activity I used them for was pattern recognition. I would set up a row of apples in a pattern, and let them tell me what would come next. But I think the most fun activity I used them for was after reading Ten Apples Up On Top, I would give everyone an apple and we would try balancing them on our heads, which was no easy feat. If anyone managed to get their apple to stay, then we would try to hop with them on our heads. The kids seemed to really enjoy this theme, even though I got a little bored with it. Such specific themes that don't have as many good books work fine for an individual storytime, but it gets a little tedious for the presenter if you are doing it multiple times. The books that the kids seemed to like best were Tap The Magic Tree (though they didn't seem as impressed as last year), Ten Apples Up On Top (which I greatly shortened by skipping pages 38-58), and Ten Red Apples, which one of my volunteers does a great job at getting the kids to participate with, using subtraction to say the next number, naming the animal and it's sound, and saying "Yippee, fiddle-dee-dee" and "Save some for me!". The younger kids also seem to really like I Am An Apple, which we have as a big book, and I make a big show of how big it is by calling up the smallest child in the class and showing how the book is almost as big as they are! I really like the layers and textures in the collage art illustrations, and the life cycle at the end. Ned's New Home seems to work better with slightly older kids, even though it is a short and simple book. Apple Farmer Annie is one I usually don't use because I think it's a little dull and dry, but there was a little girl in one class named Annie, so I pulled it out and she LOVED that the character shared her name, and the other kids were more interested in it as well. The Apple Pie Tree is okay, but a little meh, the illustrations in Odd Dog are too pale and too busy, so it doesn't hold their attention as well as it could, and while Apple Pie ABC is cute to me, I have yet to try an alphabet book that kids don't get bored with by the time you're halfway through. I really need a couple more truly engaging and fun apple stories. If you have any suggestions, please leave them in the comments! I think I will give this theme a rest next year; maybe just add a couple of the books and an activity in with the "Fall" theme instead. The kids all seemed to really like the "Five Little Apples Hanging On a Tree", many recognizing it as being similar to the rhyme about the five little monkeys teasing the alligator, which is a favorite among all the classes, and they had a lot of fun trying to balance the plastic apples on their heads, all agreeing we would never be able to do 2, much less 10! While introducing Tap The Magic Tree, I always explain that I'll need their help for the magic to work, and one little boy calls out, "Abra-cadabra!" I responded that no, that was not the kind of magic we would be doing, then another little boy pipes up with "Apple-cadabra!" I thought that was very clever! Q: "What's worse than finding a worm in your apple?" 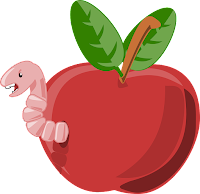 A: "Finding HALF a worm in your apple!"